I perused through our stacks and came up with the following pile. There are probably others, but for now these are some of our top favorites that I thought I'd share. This is huge favorite! If you’re camel-lovers, like us (like anyone could not love a camel), this is a fabulous addition to your home library. The illustrations, also by Heyer, are stunning. 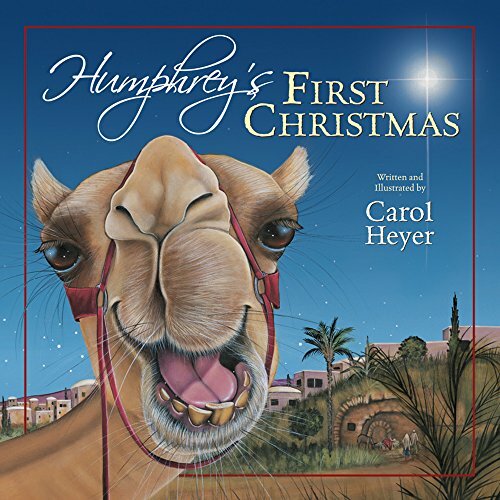 It tells the story of Humphrey, a slightly arrogant (but delightful) camel who joins up with a caravan of three kings making their way to Bethlehem. He is a bit of a whiner, he’s lost his blanket, he has to carry heavy chests, but then he meets this baby in a manger and feels true love. We love Humphrey! We love the Bear series by Karma Wilson. 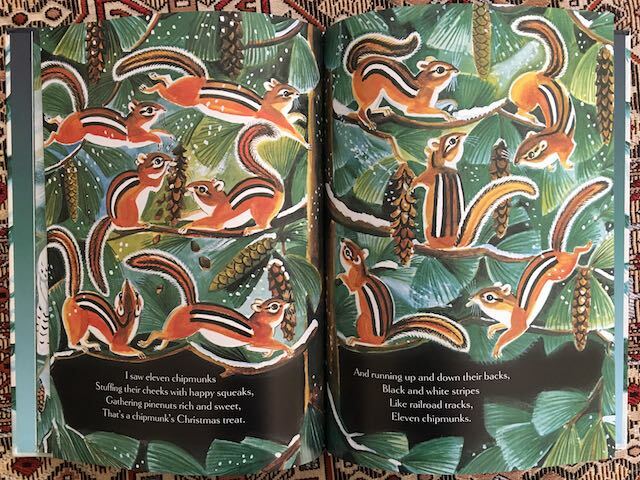 The illustrations by Jane Chapman make them truly sing. They’re sweet stories of Bear and all his forest friends – Mouse, Hare, Badger, Gopher, Raven, Wren and Mole. In the end, as all his friends sleep around him, Bear diligently makes gifts for them all on Christmas Eve and doesn’t see a certain someone dropping gifts off for everyone. 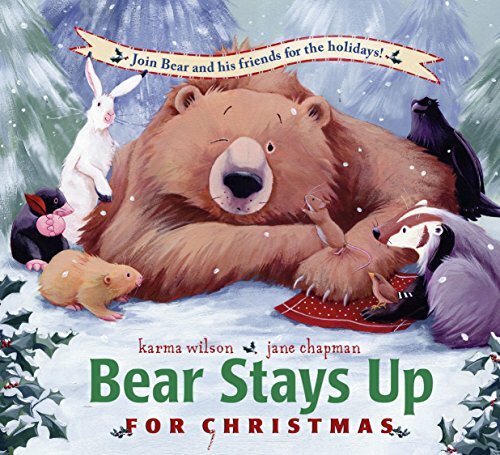 Can’t go wrong with a Bear book by Wilson and Chapman. 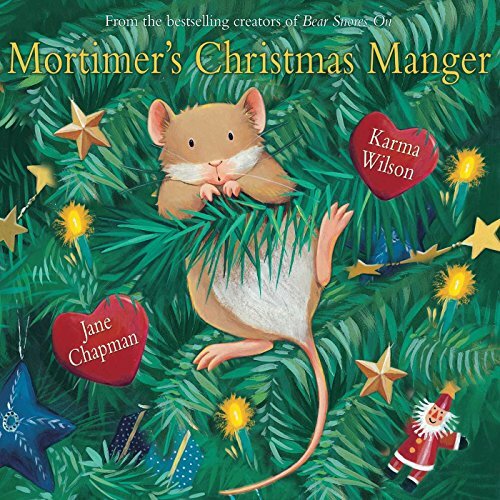 Same fabulous duo of Karma Wilson and Jane Chapman that created the Bear series, wrote this one about an adorable little mouse named Mortimer. Mortimer is desperate to find a new home as his is “Too cold. Too cramped. Too creepy.” He thinks he’s found the perfect home, replete with a little wooden crib filled with warm hay. He moves out all the wooden figures and sleeps tight. And yet, every day all the figures are moved back in. Then one night he hears the family tell a story about a manger and a baby, and he suddenly realizes whose house he’s sleeping in and he gives it back. But don’t worry, Mortimer finds an even better (and more delicious) house just his size. 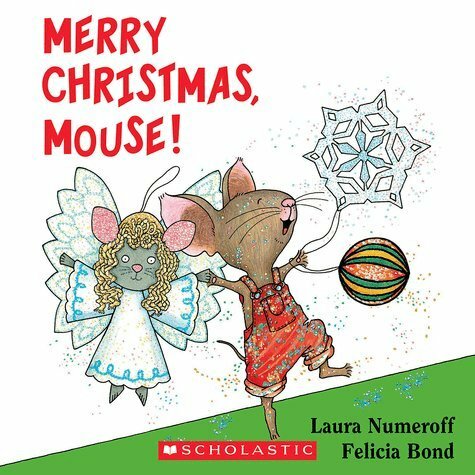 Continuing with the mouse and Christmas theme, this one is a cute little counting book. Laura Numeroff and Felicia Bond created the wonderful “If You Give a Mouse a Cookie,” series and have continued their collaboration here. A friend loaned me this one and the kids loved it. Nice messages on each page covering topics like “Tradition”, “Appreciative”, “Reciprocate” and “Hope” that are perfectly enhanced by beautiful illustrations by Jane Dyer. I love that humans and animals are all mixed together in different families. Nice touch. And it, of course, comes with a great recipe in the back. This is a big favorite. 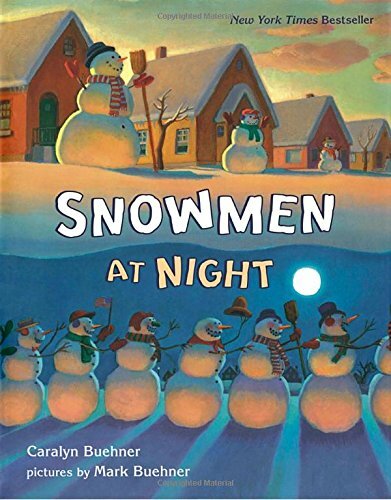 Wonderful story about, well… what snowmen do at night. And why, when you see them in the morning, they might look a little stooped or worn out. Well, apparently they whoop it up big time! Fabulous illustrations accompany the tale and depict them doing everything from snowball baseball, to racing on the ice, to drinking ice-cold cocoa. Then just before dawn, they gather their things and return home so they can rest up for tomorrow’s snowman races. 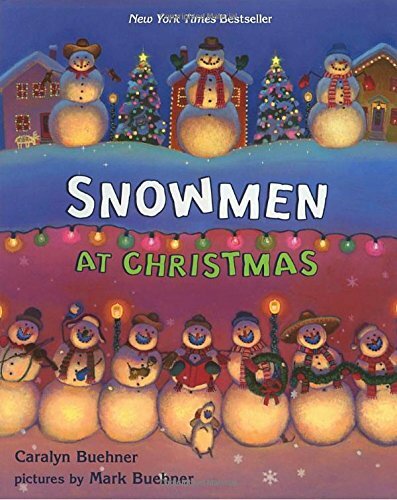 A delightful follow-on tale of how our snowmen celebrate Christmas. After dark they window shop, they see friends, they dance and eat and then they gather for a Christmas party in the town square where they decorate the tree. And to top it off, they get a special visit from a snowman Kris Kringle. Cute tale. This is a wonderful story, filled with stunning illustrations (also by Brett). It’s Little Snow’s first Christmas and his big brother tells him of the animals’ Santa who brings everyone presents. 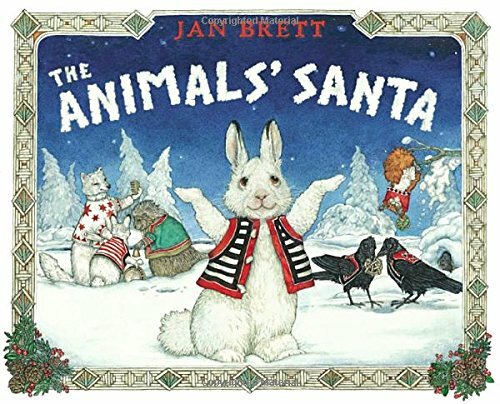 All the animals chime in trying to guess who the animals’ Santa is. Little Snow doesn’t believe any of it since no one has ever seen him. But then, on Christmas Eve all the animals are awoken and get to see who the real animals’ Santa is. 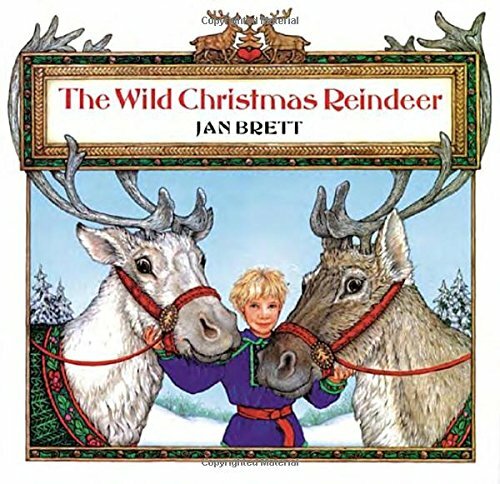 We can’t get enough of Jan Brett’s breathtaking illustrations! They are always stunning and this is no exception. It tells the tale of Teeka, who had been asked by Santa to get the reindeer ready for Christmas Eve. She has some troubles, thinking she has to be strong and firm with the reindeer. She yells at them, she’s rough with them, she doesn’t listen. In the end, she realizes that patience, love and kindness go a lot further than anger and yelling. This is the last children’s book written and illustrated by Dahlov Ipcar. She lived most of her life in Maine and drew inspiration for this book from her surroundings. 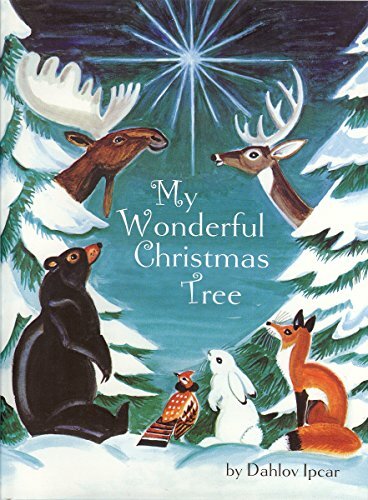 It’s a take on the Twelve Days of Christmas, but with Maine’s wildlife filling the tree boughs. It’s a beautiful book with heart-warming illustrations. Well, you can’t go wrong for the cat-lover on your list. 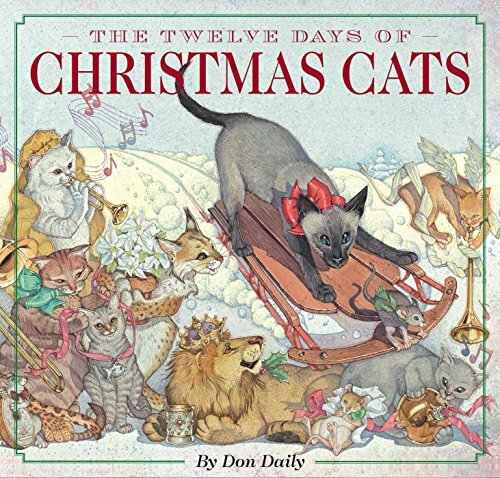 These beautiful illustrations accompany a delightful re-telling of the Twelve Days of Christmas, cat-style. And for any of you who have had kittens around Christmas, you can probably relate all too well to day one. “On the first day of Christmas my true love gave to me, a kitten in a fir tree.” Yup, been there, several times. If you’re already a fan of Pete the Cat, then this one will continue to amuse. 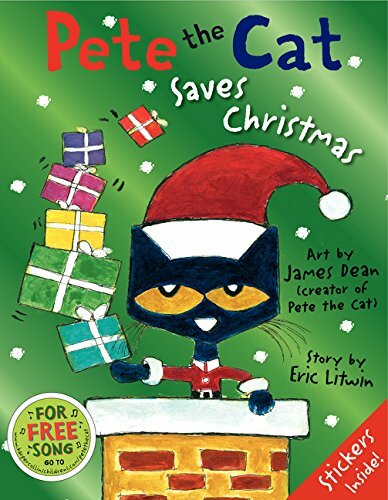 If you don’t know Pete, he’s a bemused feline who has a direct line to Santa and comes running when called to help. There’s even a little ditty that you can sing along with. Wonderful drawings with lots to seek and find. You can find the suggestions or spot your own things. Even turn it into an “Eye Spy” game with the kids. Lots of fun here for everyone. 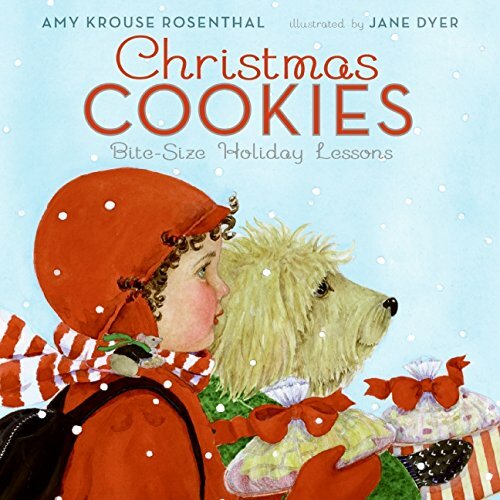 This is a delight for the whole family (providing you haven’t lost Santa’s sleigh). It’s not so much a reading book, but more of an action book. You can watch Santa as he zooms around each page, following the pre-set tracks. Very clever idea and everyone can choose a favorite page. Like the “1001 Things to Spot” book, this one is also published by Usborne. Sometimes they are available in shops, but often you’ll have to go through an Usborne representative to purchase them. If you want to purchase any Usborne books, check out this link: https://d5884.myubam.com. From personal experience, I will share that the "Pull-Back Busy Santa Book" sells out super fast. But luckily Usborne keeps bringing it back, so just be patient. I'd love to hear what some of your favorites are as well! Please share in the comments.